It happened again. The drains are clogged. The problem we have is that our drains are all connected - kitchen, bathroom sink, bathroom drain... so if any given one gets clogged down go all. To cut a long story short we have to find an eco-friendly way to unclog our drains because let's face it - even though there is a great number of lye-based drain cleaners, these toxic products can damage not only the pipes and our lungs but will also add to the amount of toxic chemicals already floating in the ocean. I found a very simple recipe on Green Living Ideas, which turned out to be the most effective solution ever! 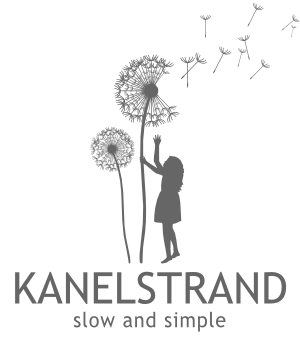 If you have followed the Kanelstrand blog long enough you wouldn't be surprised to see baking soda and vinegar in the recipe! Now, on to the actual drain cleaner. 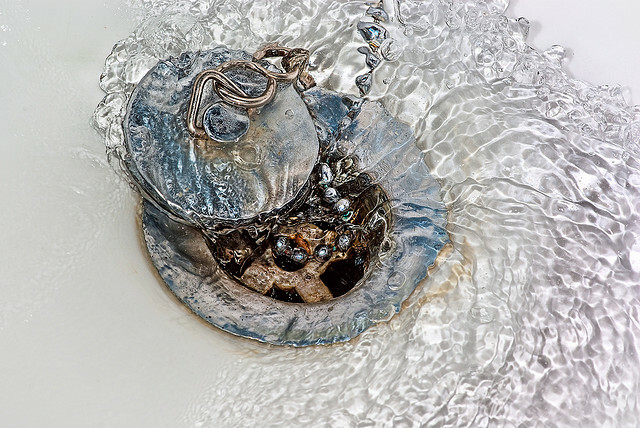 If the drain remains clogged, read more on Green Living Ideas. A monthly treatment helps prevent future clogs. Pour a cup of baking soda down the drains followed by boiling water. How have you been dealing with clogged drains? okay now i know why my drain hasn't been declogged with baking soda and vinegar, i didn't use boiling water! thanks for this advise though. my bathroom sink has been clogged for the longest time already. I'll use this article to also offer an advice, since this producto may not work if your toilet is cloughed up with paper (when you flush, it takes long time for the water to go down). Grab a mop, some pieces of rag and a plastic bag or two (since I didn't have rags at hand, I used several plastic bags). Form a ball and place it inside a plastice bag (better two avoid rupture). Leave some space inside to place your mop fibers inside the bag. Then use some tape to hold it to your mop's handle (you want it really tight, since you don't want your ball to be lost in the toilet). Now use your mop on the toilet as you use a suction cup on your sink. Of course that the ball must have a size to block to toilet's hole. José, thank you for your advice, sounds a bit complicated but well worth the effort! This is so useful! I hate our regular drain cleaner because the fumes stick around for about a day, which is probably not so great for our lungs. Definitely not great for your lungs! found you on blogging buddies....we have a septic system, so I am so glad to have this receipe, thank you! Thanks, I give this a try. My bathroom drain clogs up every year or so. I really appreciate the tip. You are welcome, hope it works well for you! I've found this method to be quite effective! Another thing I do is use a crochet hook to pull hair out of the drain - my understanding is that the baking soda/vinegar, or even conventional drain cleaners, can only dissolve the sludge, not hair, so that can still stop up the drain despite other efforts. That is precious information! Thank you very much. Sounds like a good idea! My shower drain gets clogged sometimes. oh, nice! I hate the smell of generic drain cleaner. Definitely the winning combination! The crochet hook for hair is a great idea too! Thanks for sharing the Sonya, I have a drain that gets clogged every year. I am going to give this a try and do it monthly and hopefully avoid this drain problem for the rest of the year. I have used this in the past for our upstairs sink which clogs horribly. It was nothing short of miraculous in my opinion! The drain is now beautifully clear.